It is time for the recognition of juice power. Juices flush fat away. The elimination process tastes great. Why Juicing Is Good for Health? Many people are not big fans of vegetables and fruits. Juicing is an excellent source of the vitamins and minerals they possess. Vegetable juicing virtually guarantees to reach the daily vegetable target in a form that is easily digestible. Juice from raw, green vegetables is teeming with micronutrients many people lack. √ and vitamins going straight to the systems of the body without being broken down. You get a natural energy boost, without relying on stimulants such as coffee, when drinking juice in the morning. Revitalize energy levels as quickly as 20 minutes. As a result of poor food choices made over many years, most people have impaired digestion. The absorption of nutrients from vegetables is limited. Vegetables not usually desirable to the palate offer unique benefits. The bulk of juice best comes from organic, green vegetables such as Swiss chard, kale, celery, or spinach. Fruits are usually high in sugar. Digestive problems sometimes occur also. √ Minerals and vitamins go straight to the bloodstream when juicing on an empty stomach. √ Consume juice within 15 minutes of preparation! Juicing is not a meal substitute. It is a snack or meal enhancer. Drinking juice before a meal reduces the craving for sweets and carbs. Detoxing and juicing are more popular than ever. The reasons are easy to understand. Being part of a balanced, healthy diet, juicing also helps in weight loss. People turn to cleanses when they fell bloated or sluggish, depend on caffeine, or have cravings for junk food. A body reacts internally and externally. Health and nutrition are about the big picture. A juice detox is most beneficial because it acts as a ‘food reset.’ The taste buds become reaccustomed to flavors that are more subtle. The desire for foods that are largely plant-based, whole, and minimally processed, increases. Cleanses frequently involve fasting or semi-fasting. Intermittent fasting is a viable option when choosing a cleanse. Physicians rarely, if ever, recommend a juice detox. They are not likely to argue against it either. As long as the cleansing is short in duration, and there are no underlying health issues, they will not discourage something that makes one feel better. No fiber or protein that slows digestion and moderated blood-sugar levels are part of a juice detox. Therefore, when detox juicing, it is important to use vegetable juices. 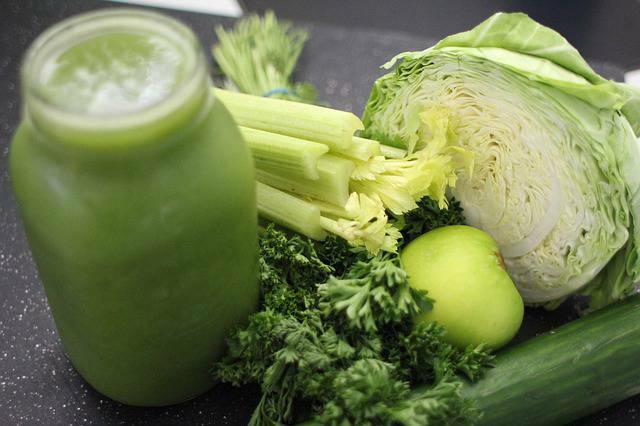 Cabbage juice is a natural diuretic that expels excess fluid from the body. Using some the pulp provides a source of dietary fiber and minerals. 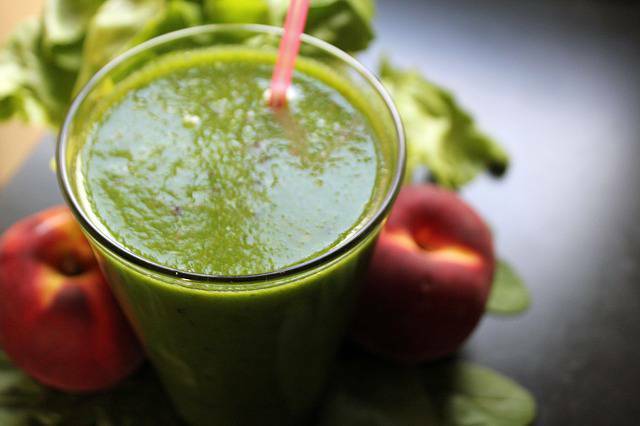 The chlorophyll in the juice of greens rids the body of environmental toxins that are harmful. Greens are a natural antibiotic and a blood cleanser. They reduce blood fats, thin the blood, and lower blood pressure. The broccoli family includes collards, kale, and cauliflower. Avoid beets, winter squash, white and sweet potatoes for ten days also. The avoidance of those items supercharges the weight loss process. As a result, you feel great and lose weight. Juicing removes pulp from fruit and vegetables. Use the pulp by adding it when cooking or returning some of it to the juice. Adding it to muffin batter or using the pulp when making broth for pasta, rice, or soups are other useful suggestions. Juice is more balanced with the addition of protein. Almond milk, peanut butter, flax seed, or Greek yogurt are good sources of protein to add to juice. The following juice recipes are detox juices. They take 10 minutes of preparation and serve two. Place the ingredients in a juicer.